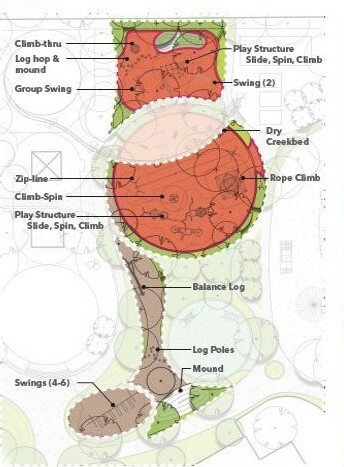 Central Gym Park: major park investments coming this summer! 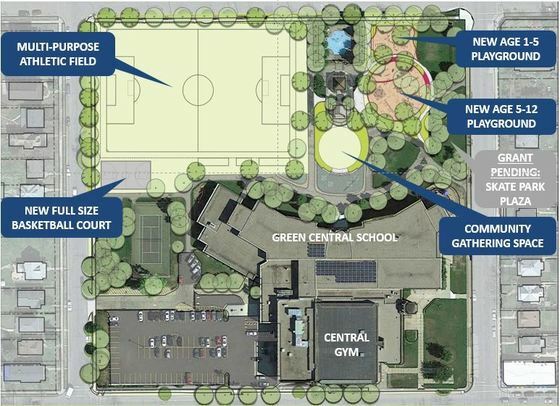 At its May 16 meeting, commissioners for the Minneapolis Park and Recreation Board (MPRB) approved the construction contract for a range of major investments at Central Gym Park. They include new play areas, a new full-size basketball court, a new community gathering space and paths, as well as a new multi-purpose athletic field, site grading and stormwater management. The project is funded with a $1.1 million allocation from MPRB's 20-Year Neighborhood Park Plan (NPP20), its park dedication fees and two Hennepin Youth Sports grants. Work is scheduled to begin shortly after the school year ends. It is expected that the play areas, basketball court, community gathering pace and paths will be complete in late August, opening to the public before or close to the start of the 2018-2019 school year. Work on the athletic field will continue through the fall, and the field will remain closed in spring 2019 to allow turf to establish. Meanwhile, the planning and design phase continues for the skatepark, in addition to fundraising activities to supplement the $250,000 Hennepin Youth Sports grant received for this feature last winter. New play features include adventure equipment and natured-based areas. While the park's tennis court will remain accessible, construction will require the rest of the park to close for most of the summer. In addition, the Central Gym recreation center will operate on limited hours, due to a Minneapolis Public Schools (MPS) project taking place in the building complex (MPS and MPRB share the recreation center's gym). MPRB will send out updates as this project proceeds. You can sign up for email updates and or visit the Central Gym Park Phase I Improvements project page for more information and background on the project. Thank you for your patience while we work to improve Minneapolis parks! Every neighborhood deserves a great park. This project includes funding from NPP20, a historic agreement between the Minneapolis Park and Recreation Board (MPRB) and the City of Minneapolis. It helps address racial and economic equity across 160 neighborhood parks and provides $11 million annually to maintain, repair and replace facilities.